The Arms Control Association is dedicated to providing authoritative information and promoting practical solutions to address the dangers posed by the world's most dangerous weapons. Every year since 2007, we nominate and select individuals and institutions that have advanced effective arms control, nonproliferation, and disarmament solutions and/or raised awareness of the threats posed by mass casualty weapons. Cast your vote for this year's Arms Control Person of the Year. The core group of negotiators for leading the discussions and eventual adoption of the landmark 2017 Treaty on the Prohibition of Nuclear Weapons to a successful conclusion in 2017. 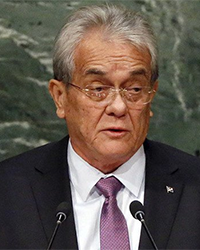 The government of Marshall Islands and its former Foreign Minister Tony de Brum for pursuing a formal legal case in the International Court of Justice in The Hague against the world's nuclear-armed states for their failure to initiate nuclear disarmament negotiations in violation of Article VI of the 1968 nuclear Nonproliferation Treaty (NPT) and customary international law. Executive-Secretary of the Comprehensive Test Ban Treaty Organization Lassina Zerbo for providing real-time data regarding North Korea's third nuclear test explosion. General James Cartwright for calling on the United States to reduce its nuclear forces, scale back triad modernization plans, and reduce the alert status of deployed weapons. Reporter and activist Kathi Lynn Austin for her work to document and track arms smugglers and for highlighting the need for a robust global Arms Trade Treaty. Kazakhstan Deputy Foreign Minister Kairat Umarov and U.S. National Nuclear Security Administration Administrator Thomas D'Agostino for securing material containing highly enriched uranium and weapons-grade plutonium. Senator Richard Lugar (R-Ind.) for his long-running support for U.S. financial contributions to assist with the construction of Russia's chemical weapons demilitarization complex. Norway's Foreign Minister Jonas Gahr Store and his minstry's Director-General for Security Policy Steffen Kongstad. 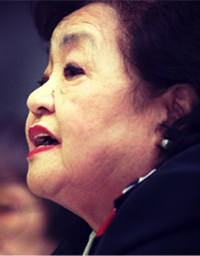 Store convened the Oslo process which led to the negotiation of the Convention on Cluster Munitions, and Kongstad led Norway's cross departmental effort. Congressmen Peter Visclosky (D-Ind.) and David Hobson (R-Ohio) for helping lead the effort for Congress to reject the Bush administration's proposal to fund research on a new, replacement warhead. If you support the Arms Control Association's promotion of these principled individuals and efforts, please make a contribution that allows us to support their work throughout the year. Such efforts depend on the support of individuals like you.